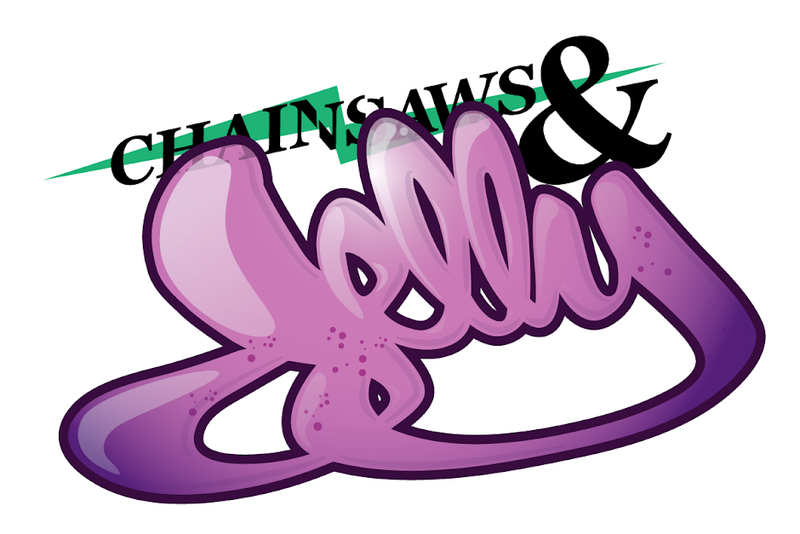 Chainsaws and Jelly: Come to the Red Velvet Party! 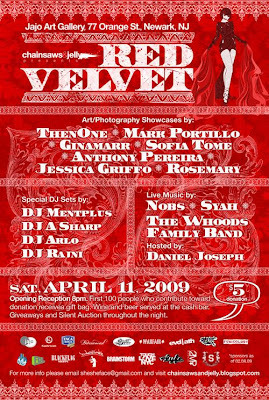 Come to the Red Velvet Party! I know you've seen this flier. Please save the date, Saturday April 11th, 2009 8pm opening reception. There will be cupcakes, brownies for the bake sale. And a platter of some sort. Lol. First 100 people who pay the $5 donation, gets a gift bag of goodies. Cheap wine, beer, and liquor so PLEASE TIP YOUR BARTENDER WELL!! I will karate chop you! Good music, performances, and more good music. Just have a great time and start dancing. Booty clap if you have to.